Play for the child you were when you fell in love with the game. For the vast majority of us there isn't a lot of money to be made in coaching. I remember keeping track of hours spent in coaching high school one season and the amount I was paid only to discover I was working for less than a nickle an hour. So, why do I coach? I love to teach. I find it rewarding to see players develop and improve not only in their sport but as people. It is gratifying to think I had a role in their growth. 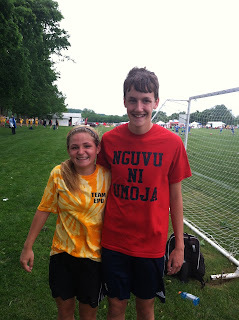 My youngest child is now a junior in high school and has been playing soccer since the age of five. I've been there every step of the way as his father and soccer coach. 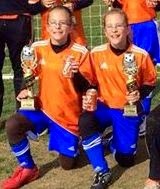 We have both made many great friends along the way and it is pure pleasure to see them on the soccer pitch. Last night my son Lance played in a high school match against some of his friends from club teams past and present. It was wonderful to see Nate Falk, Patrizio Martinez, Austin Quellhorst, Kaleb Fenwick-Miller, Joe Poeppleman, Matt Dine and Zac Nelson on one side and Lance, Tanner Mayer, Adam Knott, Jonathon Andrews, Matt Dailey and Garrett Moots on the other team. 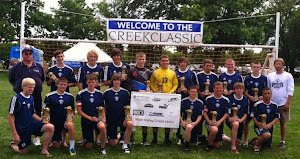 All presnt or past club teammates, friends and friendly rivals brought together through the sport of soccer. This is what it's all about. I started with most of these kids when they were around the age of nine and now they are 16 & 17 year olds representing their high school and their communities against one another but also in support of one another. My wife and I consider them all and their parents / siblings as part of our soccer family. We look forward to seeing them and share their emotions. My wife is always rather conflicted when our club team is represented by both teams on the pitch. She wants to see everyone do well and feels elation with a good play by one and concern for a poor play by opponent / friend. I had a wonderful start to my day when I received a message from Judy, the mother of a player on the opposing team last night. Judy and her family are members of our soccer family who were representing the opposing school last night. The message read in part, "I will say, it doesn't matter who the players have later on in their years, it is definitely the coach that has them first and builds the basics and knowledge in their head that makes these players the good players later on! Of course, a good coach to enhance their knowledge later on doesn't hurt, but geee who could that first coach have been for a quarter of our team?! We sing your praises Tim to all we meet! Thank You! That right there (and the handshake, hugs and chats with players after the game) is worth more than money to me. It is why I coach. Thank you, Judy! In the grand spirit of the soccer. Is this a legal PK? I believe it is a legal PK and so much more! Sick! Nasty! Insane! Showing off? Effective. Plain and Simple, it is Leadership that makes the Difference. 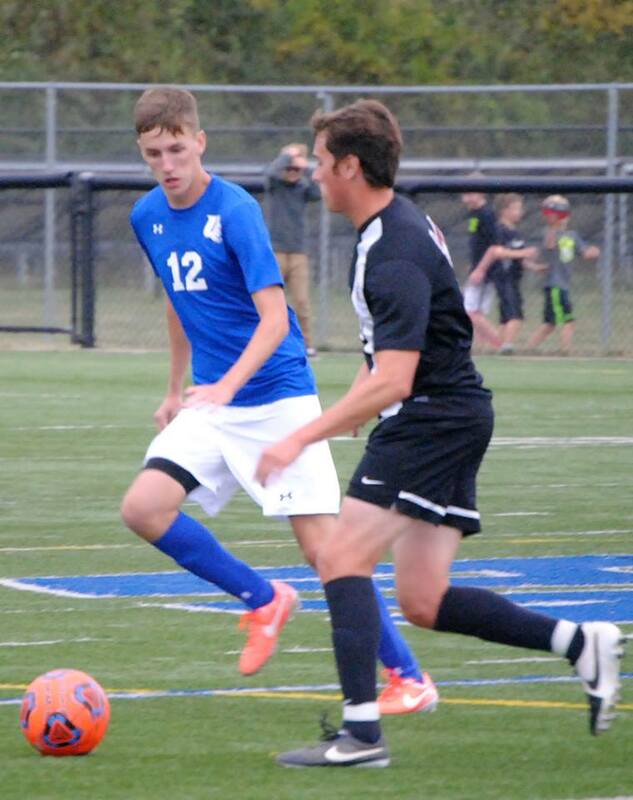 I am at a high school soccer match nearly every day and if it is a Saturday I will often take in multiple matches. I have seen some very good teams and some not so good teams over the course of my travels. Teams that clearly overachieve and others that just as clearly underachieve. It occurs to me that one thing makes more difference than all others in determining whether a team succeeds or not -Leadership. A coach can often make the difference in a program by setting a wise course and having a firm, steady hand upon the rudder, but it still takes player leadership for a team to be successful. Senior leadership is especially important on high school and collegiate teams. This is why even the best of coaches can suffer a down year now and again. Sometimes the leadership from amongst players just isn't up to par. It has become clear to me that coaches need to make a very real and concerted effort to train leaders on their teams. It is every bit as important as training technical and tactical aspects of play. Sometimes more so. What prompted this great revelation? As is usually the case it is personal experience that provided the catalyst. During my last stint as a high school coach the athletic director forbid me from conducting leadership training with the senior class. I had wanted to use Jeff Janssen's The Team Captain's Leadership Manual as a guide with the senior class. It seemed to be a matter of economics that blocked this proposal although the fact I had grown the program from 17 players to 29 in a single year seemed to be perceived as a threat to other sports at the small school as well. I knew there was enough talent on that team to win a league title and make a deep, very deep, run in the state tournament. I also knew there were "strong personalities" in the senior class who could derail everything if they did not put the team first. I recognized we had two strong willed individuals in that senior class who were poor leaders. Not allowed to work with them on training to become good, effective leaders as I had planned it was necessary to become creative in doing so. I did not reach those individuals with the message of mission-focused leadership. More precisely, I could not find a way to override their me-focused attitudes in favor of a mission-focused attitude. 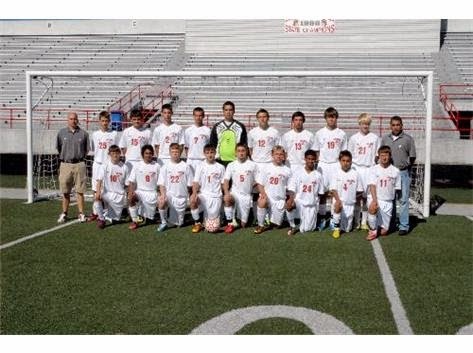 As a result, the team had its best season ever, but still underachieved. In the last 10 days I have seen two teams that are underachieving, in my opinion. In both cases a lack of proper leadership amongst the student athletes is a primary reason. In one case, it is good kids with no idea how to lead and probably receiving little training on how to do so. In the other case it is more than likely me-focused vision amongst key senior players. To watch either of these teams it becomes apparent they have talent and play some great stretches of soccer, but just cannot put it all together consistently enough.When faced with adversity, they struggle to overcome it despite having the technical and tactical ability to do so. Something is missing. Something is preventing them from playing to their full potential. I am convinced that something is a lack of proper leadership from amongst the players. As a fan of University of Michigan athletics I am familiar with Bo Schembechler's The team, the team, the team! speech. It is one of the legendary motivational speeches in the history of sports. That team went on to greatness because they bought in, they believed in something greater than just themselves as individuals. Personal agendas were put aside. They played for one another. This is what great teams do. I feel that environment can be taught and nurtured or in the very least enhanced through proper leadership training especially of key individuals. The quality of leadership is the difference. Make it work for your team. In many cases it is simply a case of semantics, but soccer and its culture is different from many “American” sports. I was once again reminded of this recently when a young player I am working with attempted to explain to his parent that I was “the trainer” and not a coach. Even his coach was not quite sure what I was going to be doing with the team as he originally thought I was there to “condition” the boys. Seems he thought running, plyometrics and such would be a good thing for his team. When everyone saw me working with the boys on passing and receiving there was almost a sense of disappointment that I was there to conduct a practice session, i.e. coach them. I have come to appreciate that “training” more closely approximates what it is I do with teams. In my mind, players can practice the individual fundamentals on their own. In training I put the team through a distinct progression of combined technical and tactical activities that train them how to work together on the pitch. In a sense it is learning how to properly apply the individual fundamentals they are working on developing. The passing and receiving we were working on actually involved off-the-ball player movement as a means to prepare to play the ball, vision, back footed play, proper receiving and passing technique and much more. No one part being less or more important than the other. It’s sort of like playing in a concert band where each individual in each section learns their part and then the conductor puts all the different sections together to play the piece in its entirety. Each section has an equally important part. Independently they may not sound like much but together they are capable of producing beautiful music! The trainer needs to have specific goals for each training session. This is true regardless of if he is training a recreational level team, a national side or a team that falls somewhere in between. Therefore, a clear distinct training plan is necessary for each training session with specific goals in mind to be achieved. When I state to people that I will often devote 1.5 hours towards planning a 1.5 hour training session I get a lot of doubtful looks in return. However, it is true that I devote a lot of time to planning a proper practice, uh, training session. That single session training plan must fall within a framework of a seasonal plan that has within it monthly and even weekly plans. There is a certain amount of flexibility that must be involved in the process. The seasonal plan will be designed to move the team from where it is at in the pre-season through to certain and predetermined developmental points at season’s end. It cannot be a hip, hop and skip journey bouncing here and there. Rather it is a process of reaching level 1 and proceeding through successive levels until the season end goal is achieved. Each training session must provide an opportunity for players to develop technical excellence in their individual skill sets, opportunities to apply individual skill and basic combination play in small sided games before providing a simulated game environment for group tactics. Pressure in the terms of available space and time to play in begin at a familiar and comfortable level increasing throughout the session until it culminates in actual game conditions. I typically train a team once a week in season. I expect the coach to work with players on the same concepts I introduce during other practice / training sessions he holds. I will increase both the instruction given and the intensity of training sessions as the season progresses and the players prove capable of handling. By the end of the season the improvement in play should be self evident to my eye and hopefully to that of players, coaches and parents as well. for the opportunity you just squandered. First and foremost is to have a passion for the game. and the part you play in it. Over the last couple of days I have begun attempting to capture the decision making process in soccer and put it into words the layman can understand.In Friday's article, Decision making and it's impact on the game we explored some of the basic concepts of decision making in soccer before narrowing our focus to the decisions a player in possession of the ball must make. Yesterdays article, More on Decision Making in Soccer we began dissecting the faults in the actual process many players go through to reach a decision. Today I will attempt to present a different way for layers to approach the decision making process when they are about to be in possession of the ball or wish to be in possession of the ball and how this impacts their decision making processes once actually in possession of the ball. One of my pet peeves in soccer is the player who stands around waiting for someone to play him the ball or perhaps even worse, to play him through. This player is extremely predictable and easily defended. Another pet peeve is the player that moves for the ball only to "win it" or "receive it" then immediately aimlessly whack it away. There simply isn't much thought put into these decisions, is there? So what should these players be doing? The one thing I wished was taught better at a younger age is the concept that ball movement in predicated on off-the-ball player movement. When the ball moves with purpose their is a shared responsibility to maintain possession of it. The passer must deliver an accurate and properly weighted pass and the receiver must receive with a quality first touch. That's the simple version of shared responsibility in passing and receiving. It is a simplistic look at the decision making process when in possession of the ball as well. If only it were actually that simple. Let's compare and contrast from the perspective of the player receiving or wining the ball. First, the player is ball oriented meaning his focus is largely on the ball. He concentrates of seeing the ball, receiving or winning the ball and only then makes a decision on how to play the ball.. Many players utilizing this style of play end up self-inflicting pressure resulting in panicked play. After gaining possession of the ball the player will attempt to discern the correct play to make. If his teammates are playing in he same manner as he is - watching the ball and not moving purposefully - he onus is on this players to maintain possession of the ball, likely having to shield it from an opponent(s) and trying to find someone to pass to. In short, this player is doing far more than his share of the work. Now let's look at a player who is game oriented. Yes, there is still a focus on the ball but before this player receives the ball he has positioned himself in the best possible manner to do so. The decision on how to do this comes from being a game observer. He will have positioned himself with his hips open to as much of the field as possible. This player will have a plan fort where and how he wants to play the ball next before his first touch on the ball. Now, if his teammates are playing in the same manner, one or more will have been moving into this players field of vision before this player ever touches the ball allowing this player to make a decision on where to play the ball next and how it should be played. The likelihood of a good decision being made increases exponentially in this sequence of play as does the probability of a quality first touch and and well executed play to follow. Instead of self-inflicting pressure this second player provides himself with more time to make decisions and more space to play in even when the actual physical confines in which he must play are not significantly enhanced. It is the preparation and planning ahead of time that makes the difference for him. It is clear which decision making process is the better of the two. It is a shame we do not train young players better on the proper way to make decisions on the field. It is perhaps the greatest weakness in the American soccer culture. The reason coaches scout the opposition is to gain an advantage for their own team. It can help to know the opponents formation, whether they play zonal or man marking defense, their set pieces and certainly the most dangerous opposing players. It is quite natural to want any and every advantage we can accumulate. There is also some inherent risk in scouting opponents and I will use two examples from this summer to highlight what I mean by this. The first example comes from my spring team. We were set to play for the championship of the Creek Classic against a league rival. We had defeated this same team twice earlier in the season. The first match was a close hard fought win at their place, The second was a more comfortable win on our home pitch. This third match was on a “neutral: pitch in the opponent’s backyard. I knew from the first two meetings that they would seek to double and even triple team our Portuguese exchange student, Calo. The first meeting he played forward for us and they had a difficult time handling him. The second meeting, in anticipation of them double teaming Calo we moved him around quite a bit. For this third meeting, we intentionally didn’t even start him. We had another secret weapon they were largely unaware of due to his being injured much of the year. Unbeknownst to the opponents, Taylor was a goal scoring machine for us. Beginning the match with Calo on the bench momentarily threw them off their game plan. 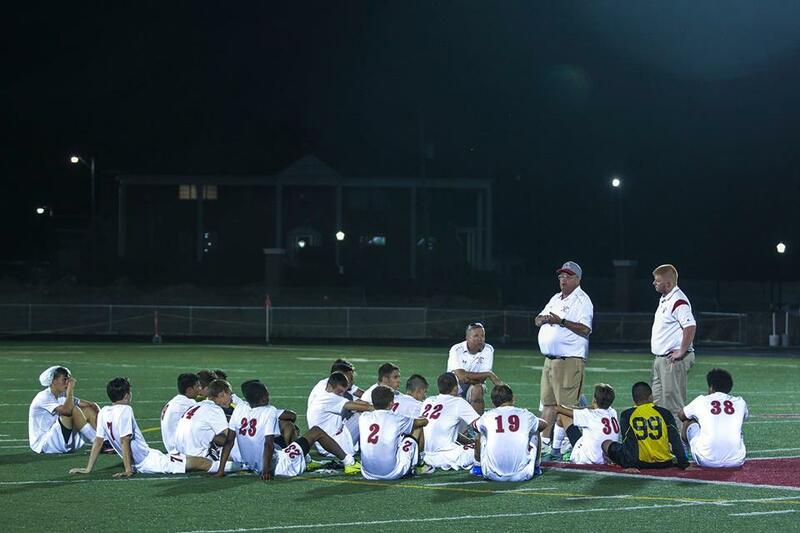 We went up 2 – 0 before Calo entered the game and for all intents and purposes the game was over by halftime. It was 3-1 with Taylor having scored twice and the opponents lone goal coming very late in the half as I rested the starters. We started the second half with both Calo and Taylor on the field as they had begun to double team Taylor. Now they had to pick and choose their posion. We won by a comfortable 6-2 margin with my having called off the dogs early. I firmly believe because our opponents had built a game plan around stopping Calo based on what he had been able to do against them in the first two games his absence from the starting line confused them. Then having to deal with both Calo and Taylor simultaneously in the second half caught them completely off guard. It just wasn’t in their scouting report on us rendering that report useless. The second example comes from the Findlay at Shawnee game I wrote about earlier this week. I had accompanied a couple members of Shawnee’s coaching staff to scout Findlay 2 days prior to Shawnee playing them. Their opponent that evening played a 4-4-2 man-marking system. 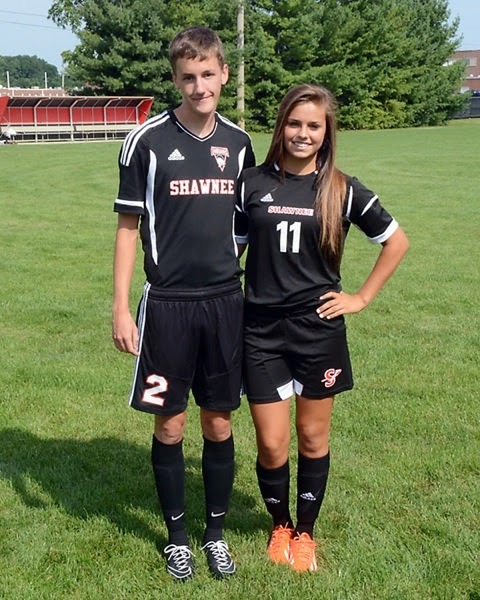 Shawnee plays a 4-3-3 zonal system. I attempted to broach the subject of how Findlay’s approach might differ against Shawnee due to the difference in systems, but did not get a lot of reaction to this. The consensus seemed to be that Findlay wouldn’t change anything. I wasn’t so sure. A couple of nights later everyone was proven right. Findlay began the game playing exactly as they had when we scouted them. Shawnee held their own during the first half and quite honestly probably had the better chances. Good call by our coaches and we went to half tied 0- 0. To start the second half it was immediately obvious Findlay had entirely changed their approach to the game. The scouting report Shawnee had on them could have been thrown out the window for it was now useless. Findlay made the adjustments based on Shawnee’s system of play that I had warned about. Being completely honest, I did not know exactly what adjustments they would make, only that they would adjust to having to defend three forwards instead of defending two forwards. They did and completely dominated the second half winning the game 2-0. Kudos to Findlay’s coaching staff on the adjustments they made. It was the difference in the game. The point being made here is one must be careful in scouting opponents. In the first case above our opponents did not anticipate I would change our lineup thereby negating what I know was a large part of their pre-match planning. In the second case above Shawnee scouted an opponent against a team using a drastically different system than what Shawnee would employ two nights later largely rendering Shawnee’s scouting report useless after halftime adjustments by Findlay. Scouting reports need to come with a warning and understanding that they are based on limited exposure to the opponents. Adjustments and adaptations are likely to be made on a game by game or opponent by opponent basis. The scouting report is a basic foundation from which to build your own game plan but it would be prudent to attempt to anticipate the adjustments the opposition will make to defend and attack YOUR system as opposed to how they defended or attacked the opponents you scouted then against. I consider the first half of the match you play against the opponent to be the critical time to scout and those precious minutes at half time to be crucial game planning time. Even then there must be recognition the opponents have also been scouting you during the first half and are busy making adjustments to their own game plan. Can you anticipate what those adjustments will be and incorporate them into the game plan you present at halftime? That right there is often the difference between winning and losing. One of the best in the world at half time adjustments is USMNT coach Jurgen Klinsmann. How many times have we seen the US struggle in the first half of matches only to come out in the second half with a dominating performance? I have long had a fascination with half time adjustments but have only begun to really study the process the last 4 or 5 years as I have studied game tape and evaluated my own performances as a coach. In the first example above I was ahead of the game in my scouting and anticipation of what the opposition would do, how they would react. In the second example, I “knew” Findlay would make adjustments due to Shawnee playing a different system, but I failed to anticipate what the adjustments would be. It was not until reviewing the film of the game that the changes became apparent. Another learning experience for me. By watching the tape from a Findlay perspective I discovered what they had seen to prompt the changes they made at half time to swing the game in their favor. In a way, Findlay used our own scouting against us much as I did to the opponents in the first example above. I’m better for the experience but it was still a painful lesson to learn. Much of yesterdays focus was on the decisions that need to be made when an individual is in possession of the ball. As I re-read that article I decided the next natural progression is to take a look at how to make those decisions. Training players in the art of decision making is perhaps most overlooked facet of the game here in the United States. I would like to change that even it it is one camp at a time. 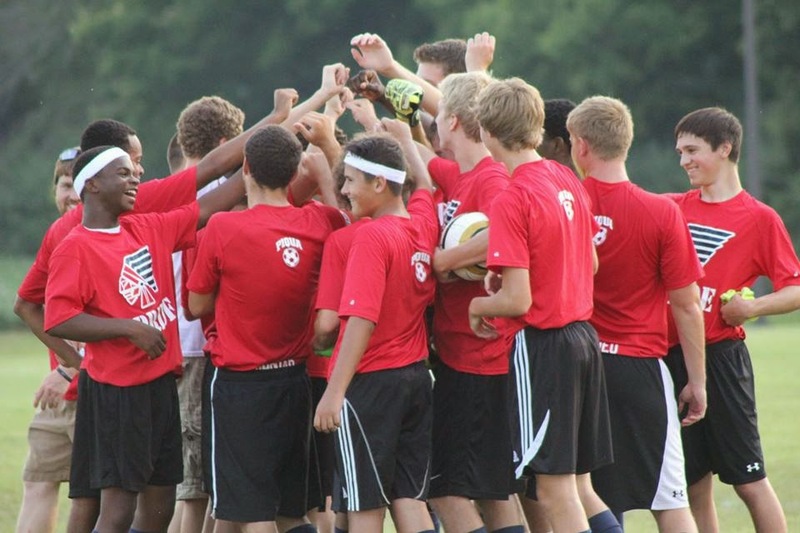 A significant part of the problem is the emphasis placed on winning youth soccer matches. In recreational leagues winning is often fueled by the coaches need to win to prove his worth as a coach. Parents certainly get caught up with winning as this seems to somehow validate their child's rank at the head of his class? I am not against winning, per se. No, I am against winning at the expense of proper development. 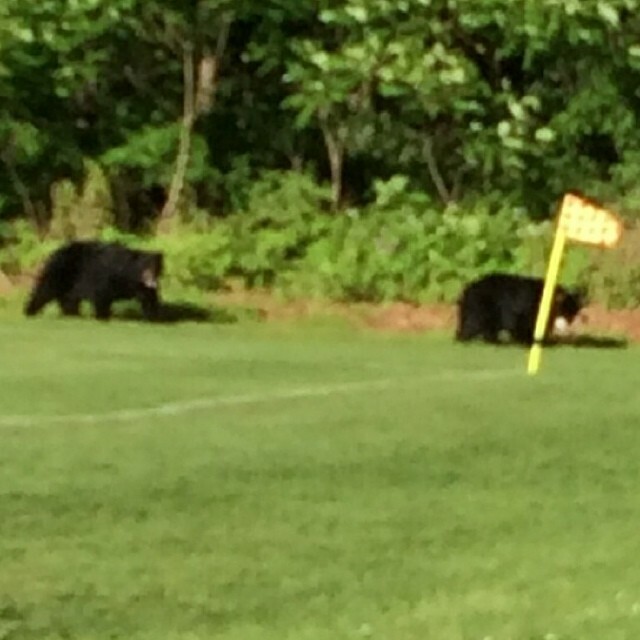 What does this have to do with decision making in the game of soccer? At the youngest and most basic levels of the game it is often the biggest, strongest, fastest kids that dominate through natural ability. Even as the players grow older and the level of play advances play often remains pretty much the same. Teams look to "play through" fast forwards in pursuit of goals. It is dump and run soccer. It also limits the decision making process by all but eliminating other choices or options. The method of attack when in possession of the ball becomes very predictable thereby actually increasing the risk factor with every successive through ball played. 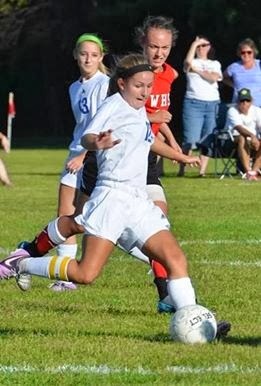 I refer to the thought process behind this style of soccer as "See ball. Win ball. Whack ball." 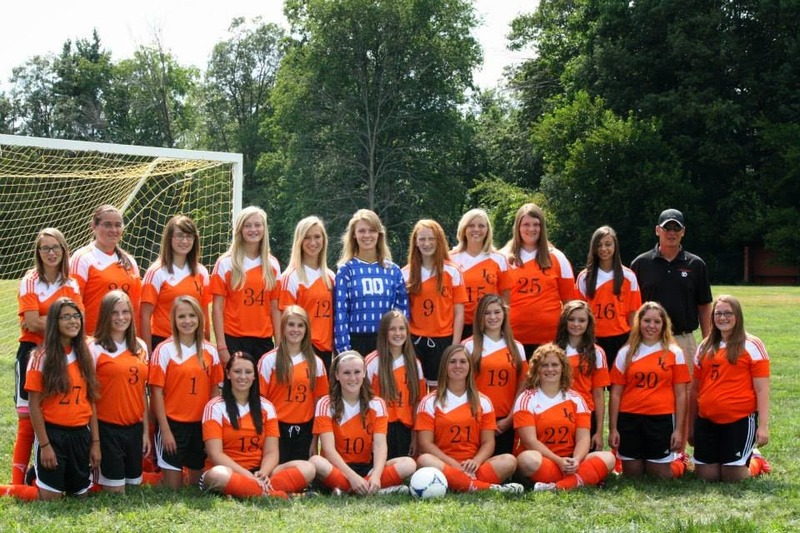 Okay, at the better levels of club and high school soccer it is more than that, but often times not much more. When conducting speed or pace of play camps for teams I attempt to redefine the way most players think the game. Even though see ball, win ball, whack ball has three parts it is basically one decision soccer. What I mean by this is the decision for what to do with the ball is made when the ball has been won. I believe the key is to make the decision on how to play the ball before your first touch. and the greatest of these is Spirit. The False Nine is a center forward with a non-traditional role. The Nine position has long been defined by players who push high on the opponents backs looking to be played through for goal scoring opportunities. The advent of zonal defending has forced changes to the role and responsibilities of the Nine position. Today the False Nine typically plays a bit withdrawn, often back to goal and is tasked with diverting the opposing back lines attention from others making forward runs and distributing the ball to teammates This does not mean the False Nine is not a goal scorer, only that goal scoring opportunities for the position are generated differently than has been tradition. On my teams we refer to the Nine / False Nine as the Target Forward. We expect our target forward to provide initial penetration by pushing opponents back toward their own goal, but instead of looking to be played through the primary reason is so the target forward can then check back to a ball played to his feet by a defender or midfielder. The traditional Nine would push opposing backs towards their own goal looking for the flighted dump and run service from backs or midfielders. The modern role for a center forward is to push the backs towards their own goal and then have them come back forward to defend against the False Nine receiving the ball at his feet. As the ball is played to the feet of the False Nine and the opposing backs are stepping to meet that threat, wing forwards and mids, perhaps even a back are starting strong penetrating runs to be played through either directly by the False Nine or off a drop pass from the False Nine to a CM. The through ball, or dump and run, is still very much alive but its execution has been adapted to beat today's zonal defenses that have become far more common than the man-marking systems prevalent in days gone by. I feel it important to note that a Target Forward does not present a stationary target. Rather the False Nine / Target Forward must be very active and have a high work rate. He must be in constant motion and vary his runs so as not to become predictable. In addition to "V" cuts that push defenders back before checking to the ball, bent runs back towards his midfield can also be employed. Sometimes the False Nine will drift to the weak side in order to check back to ball side. Other times he will move strong to ball side serving as much as a decoy as an actual target. Deception is very much a part of his game. Once in possession of the ball his primary role is not to take on defenders to create goal scoring opportunities for himself but to continue engaging defenders to create opportunities to distribute the ball to teammates who then advance the ball. Think of it in this manner - the False Nine is a creative distributor in the middle third of the field, then in the final third he is on the receiving end of distributions for goal scoring opportunities from the player he has played through. Still a goal scorer but also a facilitator of the attack = The center forward / modern Nine / False Nine / Target Forward. 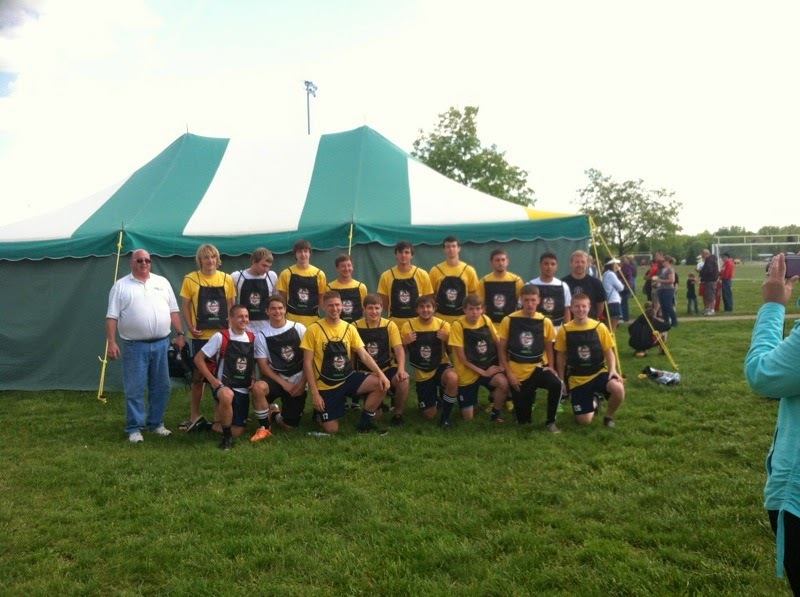 Three of the teams we worked with this summer had their opening matches Saturday.... and all three teams won! 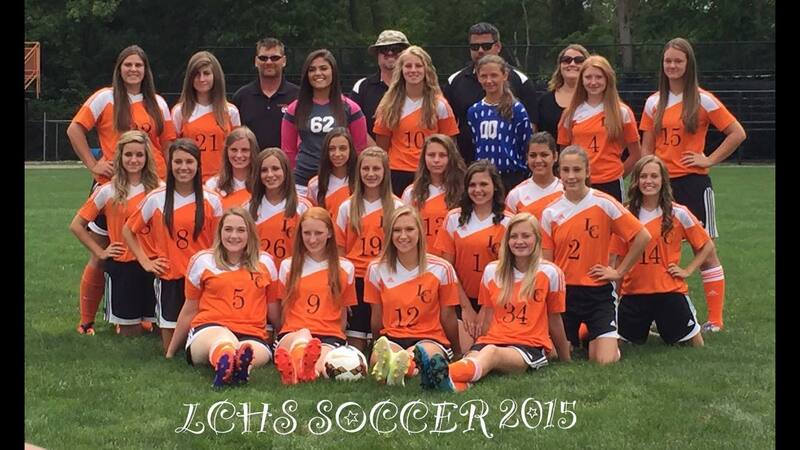 Congratulations to the Liberty Center Lady Tigers on their 3-2 win over Toledo Bowsher! 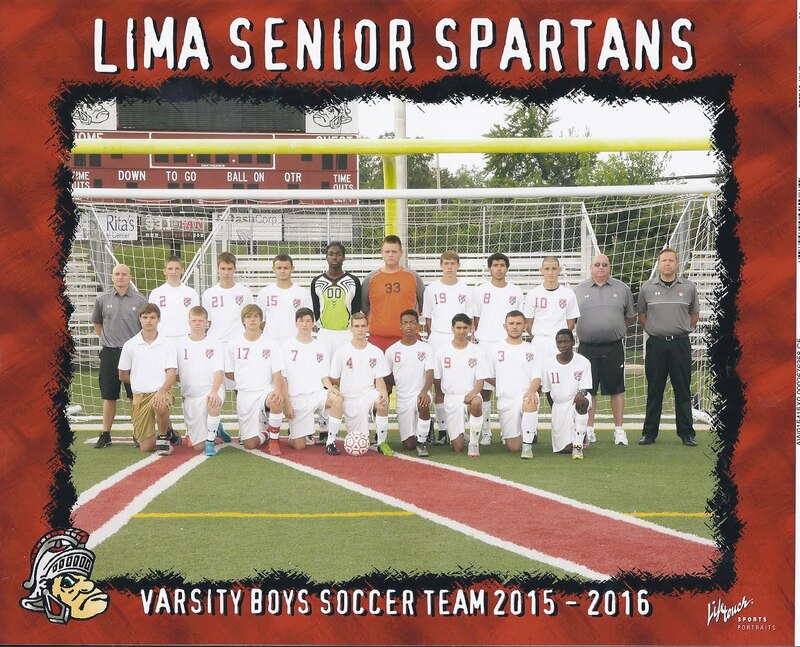 Congratulations to the Lima Senior Spartans on their 4-0 win over Lincolnview! 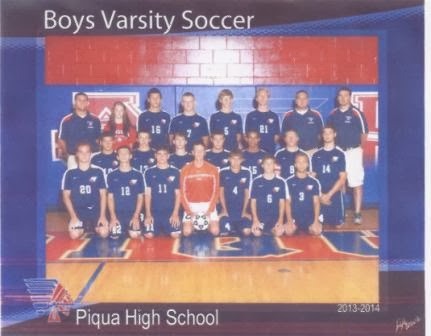 Congratulations to the Piqua Indians on their 11-0 win over Preble Shawnee! 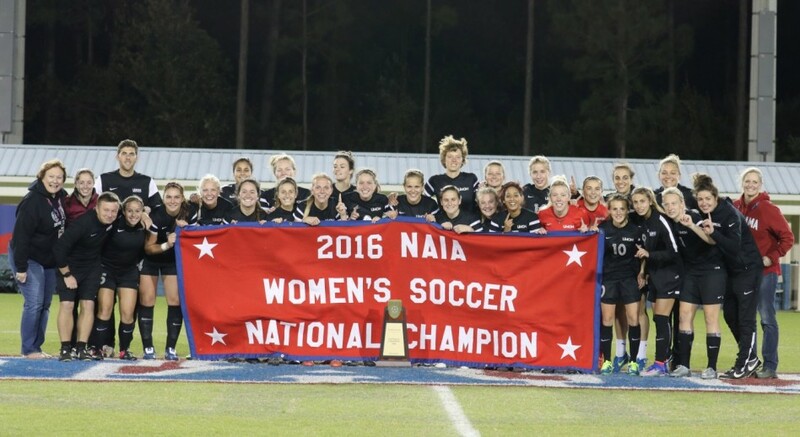 May continued success follow each of you throughout your seasons! There have been multiple requests made to re-post this article. I am honoring those requests because the points of emphasis contained within are worthy of being reviewed again. I have been coaching various sports for nearly 30 years now. Sometimes I wonder why I have stuck with it but mostly I enjoy working with players. To be witness to individuals developing their talent and combining it with others to form a team can be a wonderful experience. There is a process to it all and it never seems to grow old. As a coach I want to see consistency in performance from the players I work with. Since I demand consistency from them I believe they deserve consistency from me. When we are able to combine consistency with continuous and constant improvement, good things happen for everyone involved. Sometimes things work out better than others but generally progress is made, experienced gained, a little something about life is learned. So tomorrow I will make the plays others cannot. By the end of this evening I will have watched 12 high school soccer matches in the last 7 days. The reasons vary from making follow up calls with teams I have conducted camp for, to watching players from my spring team play, to advanced scouting, to scouting for a recruiting service to watching my son and his cousins play. My wife, in true "Soccer Mom" spirit often accompanies me to these games. The experience is generally an enjoyable one, but I do admit to becoming frustrated now and again as I watch a disorganized team sabotage its own efforts through disconcerted play. I watch as a team consistently gets strung out over 50 - 60 yards and is unable to support one another on attack or when defending. Great individual effort on teams like this, but very little collective team effort. Frustration sits in amongst players and coaches alike... and rightfully so. I watched a recent high school match where the back line never advanced beyond 25 yards from their own goal. Not because they were bunkered in defending either. The rest of their team could often be found in the teams attacking third 50+ yards away yet here sat the backs in their defending third? Another team never allowed their center backs closer than 10 yards from the center line. Wing defenders pushed up to the center line and a defensive mid was stationed centrally about the center line. The "attackers" often played 5 v 9 while the opponent kept one forward slightly withdrawn in front of the wing defenders / DM to patrol the 20-25 yard "hole" which she had to herself. Then there is the ever popular "kick and run" method of attack that sees a speedy forward "played through" only to find herself 1 v 4 + GK and expected to score for her team. I am quite serious about this. Talk about playing on hope and a prayer or trying to catch lightning in a bottle! 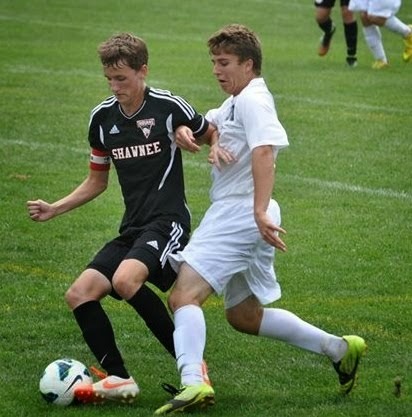 It is discouraging and frustrating for me to watch this type of soccer at the high school level. I find myself attempting to discern the reasoning behind deploying resources in such a manner. Apparently wishing to be secure in the back is a motivating factor? Then I find myself wondering why increase the work load of the midfielders so significantly? Some of these teams are asking midfielders to control 50-60 yards without adequate support? Or the poor forward played through who finds her advance stopped by multiple defenders and has no one available to pass to to relieve pressure? After conducting a recent training session I found myself approximately 15 minutes away from a high school scrimmage featuring 3 time defending Division II State Champion Dayton Carroll against Sidney so naturally that is where I headed next. I was not disappointed in Carroll's performance. A week into practice and they looked as if they were in mid-season form. Skill, size, speed, strength and tactical understanding were all in Carroll's favor, but that is not what really caught my eye. Five minutes into the game I noticed how quiet the Dayton Carroll bench was. If I recall correctly there were 7 players and 3 coaches sitting on the benches and no one was talking. It looked like they were watching a professional golf match or perhaps a tennis match as they sat quietly observing the action. At the 25 minute mark Carroll went up 2 - 0 and things remained pretty much the same on their bench. That was about to change. As the kickoff to restart the game was about to take place the Carroll head coach arose from his seat on the bench and began stalking the touchline. Not understanding what had him so agitated I found myself watching him as much as I was watching the game. I soon learned he was coaching the details of the process. He did not want his team to lose focus or let up. Yes, they had controlled run of play and were leading 2-0, but there was still over a half to play. I, myself, have often cautioned teams that the most dangerous score in soccer is 2-0. The message behind this is to not allow yourself to believe you have the game won. The team needs to keep doing what they have been doing in gaining the 2-0 advantage. Now, I witnessed that concept actually being coached to its fullest. Carroll won possession soon after the kickoff to restart play and immediately began to switch the ball through their backs. The right center back (RCB) received the ball, looked up and played a ball diagonally forward into space down the right flank. Absolutely the correct read as the Sidney defense was slow in shifting over. They were moving on the completed pass as opposed to moving with the pass. The ball ended up being played too long and rolled out of bounds before the right wing midfielder (wing) could catch up with it. I am thinking "good read, but poor execution" in regards to the RCB and his pass. The Dayton Carroll coach saw it a bit differently. He admonished the wing for not having started wide enough. "If you had been heels to the touch line when the pass was made, you would have gotten to the ball!" Mind you. the wing was only 5 yards off the touch line when the pass was played, but the coach was 100% spot on in his observation and coaching point. If the wing had been on the touchline he would have had a much better / wider angle of pursuit to the ball. Great coaching point! The head coach continued to make this type of observation and coaching point for the next 10 minutes until his team scored again to go up 3-0. He then spent the rest of the game on the bench watching his team play. I believe the final score was 6-1 in favor of Carroll with the result never in doubt. Many coaches would dismiss this scrimmage as being so lopsided neither team could learn much from it, but they would be dead wrong in this instance. 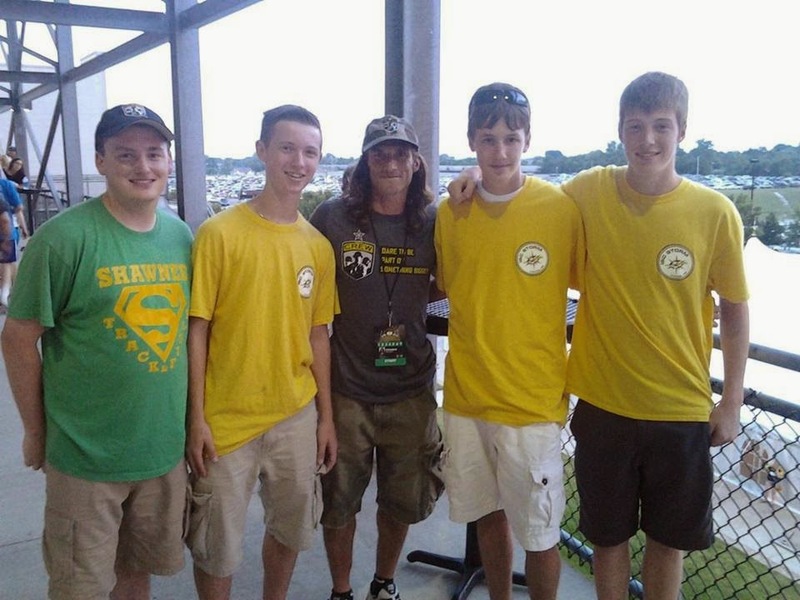 At least as it concerns the Dayton Carroll team, their coach and ... me. Carroll's coached actively "coached" for 10 minutes of an 80 minute match and his team came away with a lopsided win. Quality over quantity. I found myself thinking how well he had handled keeping his team focused on the details when they went up 2-0. I also found myself thinking how well he had used the scrimmage to prepare himself for the regular season. He was very cognizant of the game situation and on guard for the tiniest sign his players were not focused on the details of the process. The coaching points he made were outstanding. Even more impressive was the teaching manner he used in addressing and correcting the slips he saw. An outstanding job of in-the-game coaching that was even more impressive than his teams performance in a 6-1 win. The members of successful teams share a vision, are focused on the same goals, strive with the same purpose to move in the same direction. In short, unity is a key characteristic of success. If unity is so important, then why aren't all teams united? Why are there so few great teams and so many average and dysfunctional teams? I think the answer to these questions is actually quite simple. It takes a lot of work to foster a spirit of unity. There are so many factors that can subvert unity - egos, negativity, politics, agendas, lack of or poor leadership, power struggles, selfishness - that it can be difficult to bring people together. All of these can drain the positive energy from and sabotage your team thereby preventing it from performing to its full potential. Unity is not something that just happens. It takes a concerted and diligent effort on the part of leadership to ensure all team members are engaged in the process of building a united, winning team. Unity occurs when individuals work and play for one another. Clearly defined and accepted individual roles as part of the overall team concept are key to the team's overall vision and ultimately, its success. Both positivity and negativity are contagious. The key then is to grow positivity while weeding out negativity. Consider an average team as being one whose scales are balanced evenly between advantages and disadvantages. In order to become a good team there must be a purposeful effort to accumulate more advantages while shedding disadvantages thus swinging the scales of your team in favor of success. A conscious recognition that criticism must come in a constructive, educational form is paramount. We must be willing to both teach and learn from one another. Effective communication is therefore a key to unity. An environment in which individuals encourage, enable and empower those around them instills confidence and trust in everyone. The only real question is how hard your team is willing to work on establishing a positive, nurturing environment in pursuit of unity. The effort put forth towards establishing unity is every bit as important as the work put in on technical and tactical skills... and sometimes more so. All playing for their high school teams this fall! Tottenham Hotspurs apparently have a new coach? This video has been making the rounds and is definitely worth a look. Ask and answer two simple questions. 1) Did you make yourself better today? 2) Did you help a teammate become better today? I will be training a U12 team this fall. I was recently asked to train a U12 Boys team this fall. The team, as described to me, is a Division 3 team so I am not expecting the next Neymar or Messi to show up. I'm a bit leery about dropping down in age from older teens to 11 year olds if only because I have not worked with such young players in 4 or 5 years. I am sure it will be culture shock for these young players since my coaching style is likely far different than what they have been exposed to thus far. I will challenge this team with training exercises and games some would say are better suited to a good U14 or U15 team. They will initially struggle some, but they will also eventually "get it" and do so at a much earlier age than many of their peers playing on higher division teams. 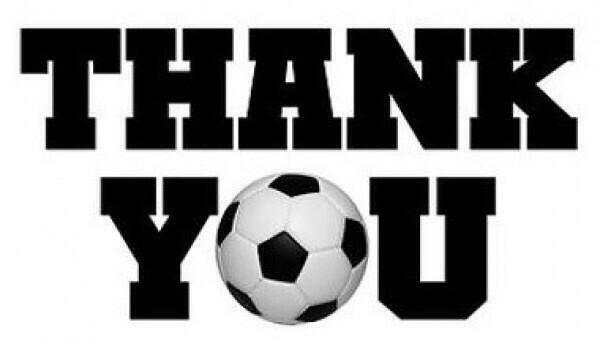 First of all, as a coach of high school and older aged club teams I am tired of receiving players who are ball oriented instead of game oriented in their approach to the game. The common pattern of play with youth players in this country is to stand around waiting to be passed to, receive the ball and then trying to figure out what to do with it. I have found it can take a season or two to reprogram players to prepare to play the ball. I have a group of 11 year olds that will learn to prepare to play the ball and therefore play at a much faster pace than many of the teams they will encounter. Secondly, and of just as much importance, is the fact there is simply no reason not to teach them to play the game properly. I have been told before that young players are incapable of understanding the intricacies and complexities of the grown up game, but I am reminded of Johan Cruyff's quote about playing the game simply being the hardest thing to do. I understand what he meant, but I also question why it must be so difficult. If young players are taught from the beginning how to play simply, why should be such a struggle to do so when they are older? Playing simply is all about being prepared to play. Before the ball is received the player needs to have a plan for his next play. If a player wants the ball, he must move to be in the passers vision early. I am going to ask these young players to think about the game differently than other coaches have asked them to. Well, I used this approach with my son's teams coming through the youth ranks. Their high school teams went on to play in state regional championships.. Several were named POY for their league and District POY. 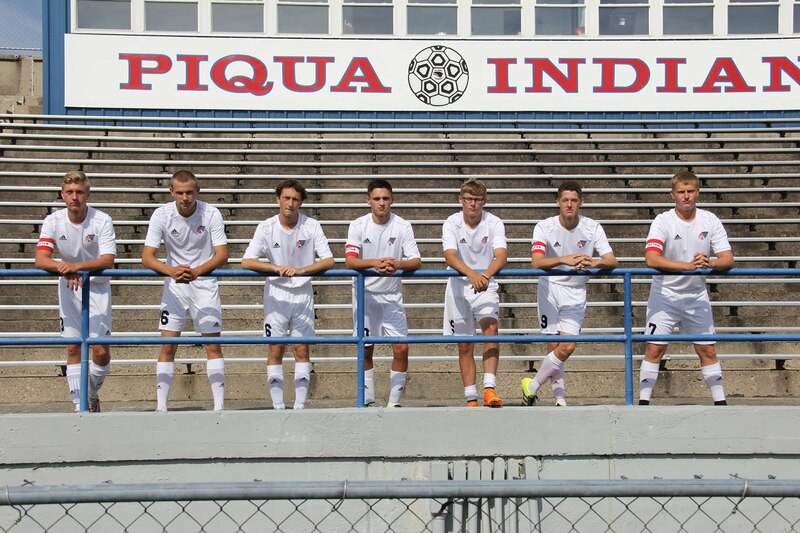 A half dozen went on to be 1st team all-state players. I think it will work and especially so since I have improved not only what I coach, but how I coach. It's not a magic formula. I 'm not predicting immediate success and an undefeated season for these kids. "You haven't taught it until they've learned." As I reminisce about this summer's camp season the above quote of legendary basketball coach John Wooden has often been on my mind. In a team environment one will find not all players learn in the manner. Something I have discovered over the years is that not all teams learn in the same manner either. I am a student of the game. My soccer library consists of over 100 books, hundreds of magazines, over 250 videos and mountains of notes I have taken while attending camps, clinics, symposiums and even from my own practices and games. My wife is very tolerant of my studies. LOL. When I find something that I really like I latch onto to it and use it over and over be it a coaching phrase, terminology, a warm up, small sided game or game related activity. A recent example of this is the phrase "making offers" that refers to players making purposeful off the ball movement in order to receive a pass. I truly am an old dog learning new tricks! At a team camp a couple of weeks ago I was going through my standard coaching methodology using tried exercises in an effort to improve a tams speed of play. First day went well as did the morning session of day two. The afternoon session of day two we hit a brick wall and hit it hard. I had utilized a type of non-directional transition game to reinforce the concept of organizing early and taking advantage of an opponent before they got set up. It was working beautifully, in part because we were playing in a large area with adequate time / space available. When I attempted to use the same theme of transition in a directional, smaller and therefore faster paced environment is when we hit the wall. Everything we had worked on, strove for and had begun to have success with was abandoned as the players reverted to old habits. An exercise that had worked well with my own teams and for other team camps just wasn't going to get 'r dun this time. I knew I was going to have to change things up for the next days sessions. On the way home that afternoon I thought about the wonderful success we had had the first 3 sessions of the week and pondered why things fell apart during that 4th session. I had made a comment to their head coach that I would have to approach things differently in the next session and would think on that before returning the next day. I defined the problem as how to move the team from success with non-positional, non-directional play towards playing in a more game like environment. Lucky for me, I am a member of an email group of coaches from around the country that exchanges ideas on all things soccer. On of the members had the perfect exercise to segue from non-directional play to directional play with purpose. He calls it Possession with Positions. It is brilliant variation on some standard attacking exercises I had previously used but never fully embraced... likely because I never fully appreciated how they might be employed. Here was my colleague teaching me a new approach to an old coach tool. The next day I returned to the foundational work we had previously done with the team before quickly progressing to Possession with Positions. Voila! It all came together in rather quick order. A different approach for a different team. It was that simple. As I traveled home afterwards the question I asked of myself is how to recognize the need to adjust my teaching approach before hitting the wall as we had in this camp? I found myself admitting there were red flags in the early sessions to indicated the exercise I employed that eventually broke things down would not work with this group. Primarily, one of the better players and dominant personalities was never going to "buy in" or play the practice game as it was intended to be played. My mind was drawn back to helping one of my sons solve a math homework problem. We got the right answer and I'm feeling pretty good about things only to have my son return from school the next day and informing me we did it wrong. What? The answer wasn't correct? Oh, the answer was correct, but we had solved it wrong. ???? Evidently they were teaching "new math" and I helped him solve it the old school way. That was the case with the transition game in question here. They were solving the problem, just not as I had intended or wished for them to. Thus the need for a different approach. A few days later I watched the team compete in a pre-season tournament. To my delight, and I think that of the team and their coaches, much of what we worked on was in evidence in their play. 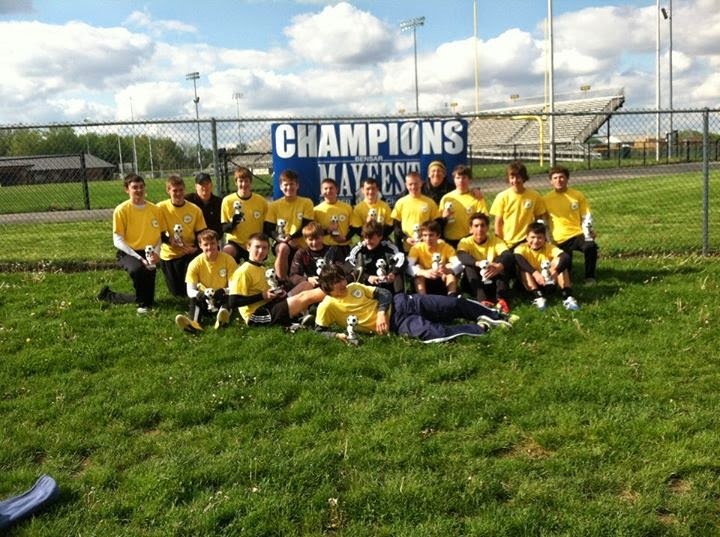 They looked quite good in their play and went on the championship game. John Wooden's quote came to mind as it was apparent I had some success in teaching them because they were enjoying success with what they had learned! Coach, what is your vision for your team? I have been conducting camps and clinics for close to a decade. I love "teaching" and interacting with young players on the pitch. I much prefer this to "coaching" on game day although I do enjoy that as well. I view matches as the test for what we have done during training. The two must go hand in hand but if I had to choose one, it would be to train. This is undoubtedly why I enjoy conducting camps and clinics. During one of my recent weeks of camp I could not help but wonder why the team and its program had struggled so in recent years. 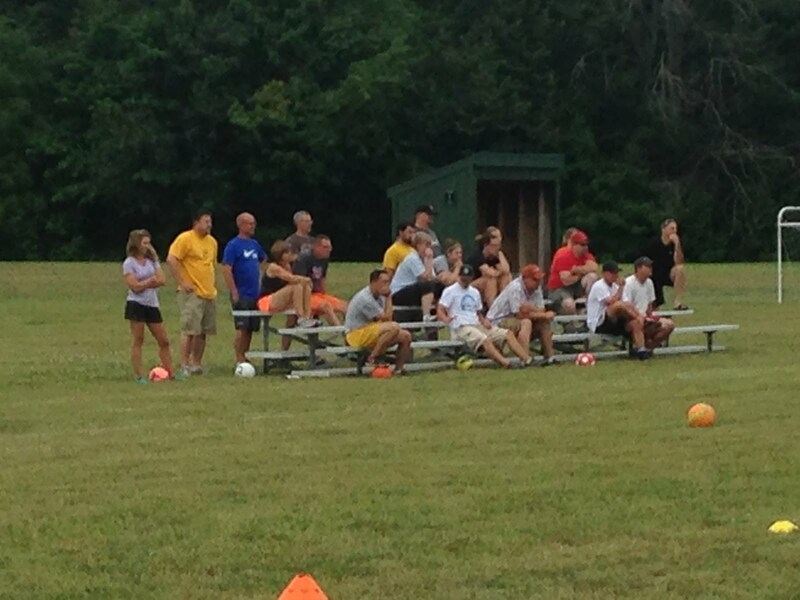 The turn out for camp was outstanding, nearly 40 participants. 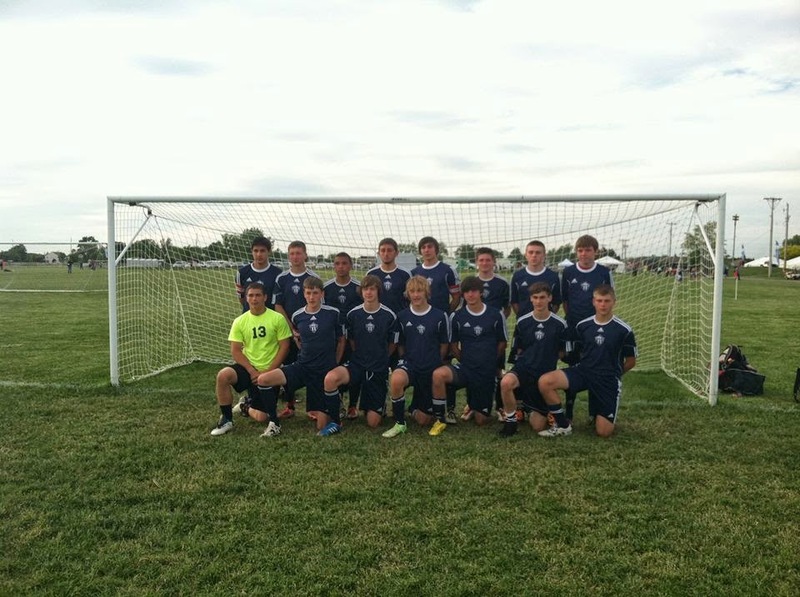 There were enough talented players to field a quality varsity team. The kids generally seemed to like one another although in a group that size perfect harmony is difficult to achieve. When I looked at this group I saw potential. I saw a team capable of winning 10+ games of a 16 game schedule. Of course, it matters little what my vision was for the team. What counts is their coach's vision for the team. In this regard, the camps I conduct often involve training coaches as well as training players. It is not my intention to place myself on a pedestal or define myself as some type of coaching guru for coaches. Not at all. It's more a fresh set of eyes to an existing situation. I don't have all that answers and quite frankly I sometimes don't even know the questions. However, one of the advantages of bringing someone in to conduct team camp for you is the different perspective the clinician will bring. I must admit,when I see a program struggle on the pitch yet have 40 players attend camp it makes me curious as to why they have not had a winning season in years. Forty players is more than enough to field a Varsity and JV team with a few left over. Something seemed amiss and, of course, I wanted to know how to put it right. What I quickly learned was this group lacked a team identity. The players knew little of the programs past and had given little thought as to their own legacy to the program. Very good coaching staff who were as befuddled as I was about what they perceived to be a lack of motivation or drive to succeed. An assistant coach had heard me address another team on the process of building a winning program. My mantra of first learning how to work, then how to compete and finally how to win had struck a chord with him so he lobbied to bring me in. The topic for the week was to be learning to move / play as a team, but it quickly came to include learning how to work smarter. Working smart includes defining and knowing roles, sharing the load and trusting your teammates - the building blocks of moving and playing as a team. I used the first days sessions to evaluate the program, its current team and individual players. At the end of the day I asked the head coach for his vision for his team. He threw out some generic ideas about playing together in pursuit of a common goal, establishing a winning tradition and making a run in the tournament. I prompted him to tell me how he envisioned his team accomplishing these goals. It took awhile to elicit the type of information I was seeking, but it eventually came forth. One of the first red flags to emerge occurred early on the first day as I asked the players about the formation and systems of play they used. From what I could make out the team changed formations and how they sought to play nearly on a game to game basis. 4-4-2 with a diamond back line one game and a 3-5-3 with a flat back in the next game. Apparently they even changed at halftime of games going from a 4-4-2 to a 4-3-3. There was mention of a 4-1-3-2, a 4-2-3-1, a 4-5-1 and a 4-6. You name the formation and system of play and they seemingly had tried it. As I discussed what the coaches vision for the team was with the coaching staff it seemed what they wanted to do was play a 4-4-2 with a zonal defense or a 4-3-3 with a zonal defense. When asked why they changed formation and system of play so frequently the answer was very much result oriented. Apparently whatever they tried didn't seem to work (or work for long) and so they kept experimenting hoping to catch lightning in a bottle. As we continued to talk the head coach made the comment, "We need to pick a formation and system and just stick with it." B-I-N-G-O ! a week from then, at the start of the season, at mid season and finally where they were at the end of the season.... that would be their legacy to the program. This is the point where I borrowed from University of Michigan football coach Brady Hoke. Coach Hoke starts every practice, classroom session and game day with what has become the Wolverines mantra. Good morning! With the team responding Good morning! Team! Whatever year of the program we are in. School name .... Mascots Name! I chose this format because many of the high school teams I work with are newer teams and or teams that do not have a list of championships, all-state players to call upon. They are striving to establish a foundation so they can win championships, place players on all-League and all-state teams. On the first day of a camp the responses are self-conscious and on the quiet side. By the end of camp the responses are clear, loud and done with conviction. Their confidence with this cheer grows in direct proportion to the growth of their confidence on the pitch. The two go hand in hand. The cheer addresses mental and emotional aspects that transfer to the field of play. In many cases it serves to unite a team that otherwise seems to lack togetherness. It serves to provide a commonality that becomes the cornerstone to build a team culture upon. Some teams discard it as soon as camp is over and that is fine as I intend it to be a starting point. Other teams carry it with them out of camp and make it a part of their regular routine. I have heard that one team has even had t-shirts made with this cheer on them. Pretty cool! There is a motivation that stems from this cheer that serves as a link between the coaches vision and the players dedication to the work required to bring that vision to life. It is a gimmick to bring a different mental and emotional approach to the team. The cheer is different from there normal routine and therefore signifies change just as much of the work we do on the pitch with them is different than what they are accustomed to. I stress if all they ever do is all they have ever done, how can they expect to change the culture and results they have always had? A coaches vision for how his team should play is kind of like that as well. If your vision is out of focus or constantly changing, doesn't it stand to reason that your team will struggle to play as you want them to? Define your vision. Determine where your team is in the process so you have a starting point. Outline steps your team and program can strive to take towards your vision. Stay focused n the vision and the process required to achieve your vision. Do not allow yourself or your team to become impatient or bored with the process. It will take time, but it will be worth it! Summer camp season is coming to a close and high school season began yesterday here in Ohio. Talent evaluation is very much on my mind this week. At every camp I conducted I found that I valued certain players differently than the coach I was conducting camp for did. Beauty is indeed in the eyes of the beholder. As I prepared for a camp that was to focus on striker play and finishing a coach sent me an email detailing the virtues of two players that would be attending. I believe one was a sophomore and the other a freshmen. 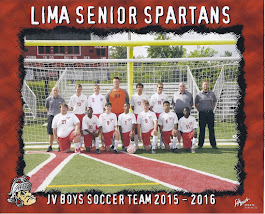 The abilities of these players were lauded as the coach proclaimed they would be his starting forwards this fall. There was a third player from his team, a senior. After the first session I was wondering about the coaches reasoning as the senior put on a show. 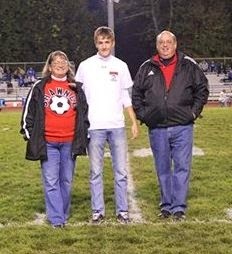 The senior demonstrated a strong work ethic, great attitude and the ability to strike powerfuly and accurately with either foot. The senior also possessed a strikers mentality - worked hard off the ball and was always thinking about scoring the ball. The younger players were certainly solid players but not on the level of the senior, in my opinion.